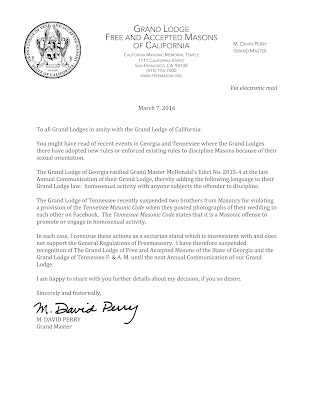 You might have read of recent events in Georgia and Tennessee where the Grand Lodges there have adopted new rules or enforced existing rules to discipline Masons because of their sexual orientation. The Grand Lodge of Georgia ratified Grand Master McDonald’s Edict No. 2015-4 at the last Annual Communication of their Grand Lodge, thereby adding the following language to their Grand Lodge law: homosexual activity with anyone subjects the offender to discipline. The Grand Lodge of Tennessee recently suspended two brothers from Masonry for violating a provision of the Tennessee Masonic Code when they posted photographs of their wedding to each other on Facebook. The Tennessee Masonic Code states that it is a Masonic offense to promote or engage in homosexual activity. In each case, I construe these actions as a sectarian stand which is inconsistent with and does not support the General Regulations of Freemasonry. I have therefore suspended recognition of The Grand Lodge of Free and Accepted Masons of the State of Georgia and the Grand Lodge of Tennessee F. & A. M. until the next Annual Communication of our Grand Lodge. I am happy to share with you further details about my decision, if you so desire. In addition, I have unsubstantiated information that a second Grand Lodge has withdrawn all official amity with these two states, apart from allowing individual visitation by Masons. I'm awaiting confirmation. I'm pleased by this news but I never expected it to actually happen. I hope more GLs follow suit. Wait, that's not entirely accurate. What I *really* hope is that TN and GA will realize the error of their ways and reform themselves, so recognition can be restored. I am proud to call you my brother. A few members and other officers were discussing this topic after our stated meeting at the local pub, and we were wondering how this affected the concordant bodies (the Rites and Shrine) in those two states IF Grand Lodge decided to go down this road. And now they have. It will be interesting to see how this develops. Thank you, Brother Chris, for your updates through the blog. I enjoy reading your posts very much. Excellent news. That many Grand Lodges may follow California's lead. Thanks for keeping us posted, Chris. Brother David Perry has earned a place for himself and his grand lodge in the canons of the Craft, and Brother Hodapp deserves praise for maintaining a free Masonic press in the face of those - shall I say possibly those former - grand lodges' attempts to stifle comment. Time to recognize Prince Hall in Georgia and Tennessee so brethren can affiliate with recognized grand lodges, and for the Scottish Rite to show some leadership too. 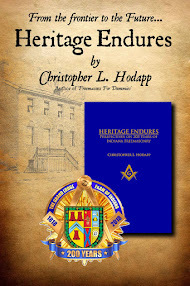 And for other grand lodges to show they understand Masonry, as California has. Wonderful, yet another Texas Mason reminding me of why I stopped attending lodge. Thanks, Brother. As a non-Christian and a Mason whose faith has nothing against gay, lesbian, bisexual, or transgender people it is disgusting to see an organization I used to love promoting bigotry and hate through sectarian agendas. It is of my opinion that you should reassess your obligations brethren. I am sure many of us would be interested in you elaborating on what part of the obligations you are referring to for reexamination. I assume he cannot elaborate without injecting sectarian interpretation into our obligations. That's the real issue here, it's like a fish in a fishbowl, the last thing they recognize is the water that surrounds them. Similarly, people often don't recognize the cultural "water" that surrounds them in their own small fishbowl. Freemasonry, in its Universality, is supposed to look beyond these localized fishbowls of belief. Terms like "irreligious Libertine" (meant to be something we can all Universally recognize) are being interpreted in a sectarian manner, and this is contrary to our Fraternity. The Grand Lodge of DC has apparently also withdrawn recognition. Have not seen the details yet. I keep hearing this, but until I actually see a document from the GM of DC, it's just a rumor. While I agree with the premise, it does punish brothers in TN that do not agree with the actions of its grand lodge, and are looking for ways to stop it. Will the MWGM also offer asylum for brothers in those states to seek refuge if they do not agree with their GL? Nope, that's not the way this works. Doing the right thing isn't always easy, and sometimes involves collateral damage. Those Masons in TN and GA that disagreed with the actions of their Grand Lodges will be fine, they still have each other to lean on. But the individual Masons in those jurisdictions who are being persecuted are mostly on their own, in TN their brethren can't even offer them support or they will be put on trial, too. This action, while extreme and not without negative consequences, was necessary as a show of support to our brethren in TN and GA who are being persecuted. I am proud to be a Brethren of Cali#1 and fully support our MWGM Perry. So a TN mason will have to demit then look to become affiliated with a lodge from a different state in order to be recognized again. As a TN mason I can say a majority of us disagree with actions put forth by the GL, but do not hold the power necessary at this point. Perhaps these actions will help persuade those who need persuading to make a decision for the good of the order. If it truly is a majority of you that disagree with the GL, and I truly hope it is.. Then don't sell yourself short. You DO have the power. You have the power to vote to change the rules. You have the power to vote for state leaders that do not agree with the current rules. I it truly is a majority, you have the power a majority members to demand change. Unfortunately, it's not that easy, but rest assured we are working on it..
Bear something in mind, Brethren. Members of the GL of CA have borne the brunt of public protests over GA and TN's actions. Their members have been publicly demonstrated against and they have been disinvited from public cornerstone ceremonies by local governments because of the actions taken, not in CA, but in other states. CA had little choice but to distance themselves from these other GL's actions, or face increased demonstrations and threats. Nowadays, what happens in a lodge or GL in one part of the country tars us all, not even just nationwide, but worldwide. That is what CA has been facing for months. GM Perry responded in what he regards are the best interests of his own members. No longer are we living in the days when homosexuals were hounded and vilified, we should judge a brother for what he is as a man and s brother. sexual orientation and color should not be a bar to our fraternity, I know a few gay brothers who are great masons and who I am proud to call brother. "No longer are we living in the days when homosexuals were hounded and vilified"
Unfortunately, it appears you are wrong. As unfortunate as this the decision was to enact this code it was not done without much debate and a close vote which came down to a head count. Being a traveling man from Georgia I now find myself unwanted, sad and alone as I am turned away and denied. I can only hope that our Grand Officers will confide in themselves as they do in their savior. For the God that I pray to and the God you pray to would never condemn a man for wanting to become a better man. I think you're indulging in a bit of melodrama. We have a number of sojourning brother sin our lodge who, if a disagreement led to them being unable to attend tyled meetings I would still partner with in community service and meet for drinks at the local watering hole. You are not unwanted, more than anything you are needed at this moment. Speak to the men who lead your grand lodge and let them know how this impacts you and whether or not you support their position. "I think there is a deeper issue at stake here. Was the brother/s aware of any constitution, resolution or bylaw forbidding homosexuality when they took the obligations?" It makes no difference to me the orientation of a fellow brother. It does however make a difference to me and our fraternity to believe in and live by the obligations that we take. Those obligations are what binds our fraternity of brothers together. Was there a failure to educate? Was an obligation taken falsely? Two of a thousand questions that could be asked. To me it is much deeper than sexual orientation. You sor have won me over. If one joins under false pretenses, doesn't that constitute deception and therefore dishonesty? I would imagine that no one joined under false pretenses. The TN Masons who were expelled clearly did not hide their sexual orientation nor were being secret about it. And you are privy to this information how? May I ask? Well, because they say so, for one. While sexual activity is in our code, it is rarely brought up during interviewing a candidate outside of issues such as adultery or sleeping with the female relative of another Mason. I know I didn't realize this section was in our code until right before I sat in the East. My position is the Grand Lodge needs to review this section of our code and see if it should remain in it. It should be voted on at Grand Lodge and let the ballots fall where they may. Do you want this wording removed or left in? That is my question. I couldn't be more proud to be a Californian Mason. 3x3 for Most Worship Perry. I am overwhelmed by the reaction I myself have received from these posts. I came to light in my fortieth year of life. When my grandfather died his last words were 'tell Jeremy to close the circle'. Joining my lodge has been the greatest experience of my life. Before being a school principal, before being a 'political affiliation, before being a gay man - I am first and foremost a mason. I have learned and examined myself in all three degrees in open lodge. I am proud to call myself a mason and it saddens me others don't feel the same pride towards me. It's not Masonic to rally against a group of men. It's the internal not the external qualifications which make a man a mason. Are these just words? Sadly, for some within my Grand Lodge, they are just words. May you continue your journey to the Light as we all seek it. This sad that many brethren feel "under the gun", so to speak, on topics like this. The GL of CA has made the correct move. Does anyone know what this means for Mason's who are members of these Grand Lodges in these jurisdictions who may want to travel to lodges in those states? I suggest you contact your Grand Secretary for this information. Everybody else is just airing their opinion. Only in California can someone be so stupid. You took an oath to be a just and upright Man and Mason and the oath with you hand on the Holy Bible and you even declared that you (BELIEVED in a supreme being) so why are you going against his word. Sound like you think you are better then GOD. Only a man can think like that not a true Mason. You should be ashamed of yourself. Are you suggesting that a gay man cannot be a "just and upright man and Mason"? If so, I know you to be mistaken. As a heterosexual man living and working in San Francisco, and active in three Lodges here, I sit in Lodge with both straight and gay men, all of whom I am proud to call "Brother" and "friend", and my gay Brothers are better men and Masons than many of my straight Brothers. In short: you'd be unwise to claim any kind of legitimacy for your views on the matter. They are your opinions, and nothing more. You confirmed that you believed in a supreme being and then took an oath on the Holy Bible and was to be a just and upright man and mason. Now you want to think that the GOD of the Holy Bible is dumb and you are smarter then him. Only in California will a man think he is better then GOD. Why don't you just demit and become a non mason as you are acting like one. Get a life and do right. I'm sure that both Grand Lodges will survive without recognition from California. Congratulations to both on confirming the practice of homosexuality is NOT moral and upright before G-d.
cmouse wrote "the practice of homosexuality is NOT moral and upright before G-d."
Someone (that would be YOU, Brother) is confused about the core of the Craft: Freemasonry is not now, nor has it ever been, hostage to any particular conception of "G-d". The moment that you try to claim that YOUR particular deity approves or disapproves of something, you have just been un-Masonic. YOUR morality (Judeo-Christian of a specific sect) may think that "homosexuality is not moral and upright before G-d", but that is a matter for YOUR religion; it matters not one bit to Freemasonry. It's no more relevant to the Fraternity than YOUR sect's particular dietary laws, or doctrines regarding salvation, or views on the place of women; it's IRRELEVANT to Freemasonry. In short: it's not about YOU and YOUR religious beliefs. It's about the Fraternity, and there is nothing in Freemasonry that impinges upon a person's sexuality or vise-versa. I defy you to try to show otherwise. As a 43 year member of my Blue Lodge under the Grand Lodge of NY, I remember brothers using similar logic to argue that Black men could not petition for EA as they were not free-born. The guiding spirit of our noble fraternity is that all men, regardless of race or sexual orientation, are equal in the mind of the G.A.O.T.U. I'm confident that this issue will be resolved in a manner reflecting Masonry's illustrious history. Does anyone know the stance of the UGLE in this matter? I want to join a TN or GA lodge. Places like CA or other liberal areas are changing masonry to suit themselves and watering it down to make it more like everything else they have destroyed, This is what masonry offers. If you don't like it join the elks or moose. This is the reason why I demited my CA membership. Soon they will succeed in taking the bible off the alter, one of the 3 great lights of masonry. Im my opinion brovo to TN and GA for standing up to this encroachment. The liberals will eventually get their way, this day and age they always do, but at least some brave brothers are standing up and saying no. Dxp Vxo wrote "Places like CA or other liberal areas are changing masonry to suit themselves and watering it down to make it more like everything else they have destroyed, This is what masonry offers." 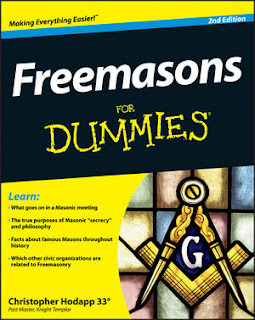 If you believe that's what Masonry offers, I can only surmise that you don't know much about Masonry. Perhaps you can explain when it was that the Preston-Webb Rite became "real Masonry", to the exclusion of other Rites. Try going to a Lodge in Britain (where Masonry existed for centuries before it made it to our shores) and telling them that they're wrong to not have three Lesser Lights on their Altar. Try going to France and telling the Lodges with whom we're in amity, and who have been practicing Masonry longer than we have, that they're wrong to not have a "G" suspended in the east. The fact is that you are conflating *your* views of what is *customary within your jurisdiction*, with what Masonry IS and HAS BEEN. This is particularly ironic, given the fact that Freemasonry's roots are in the Enlightenment, and hardly Christian in its practices or views. Those tendencies were a later imposition, and in some ways, an innovation. Our ancient Brethren were, more often than not, Deists, freethinkers and skeptics.